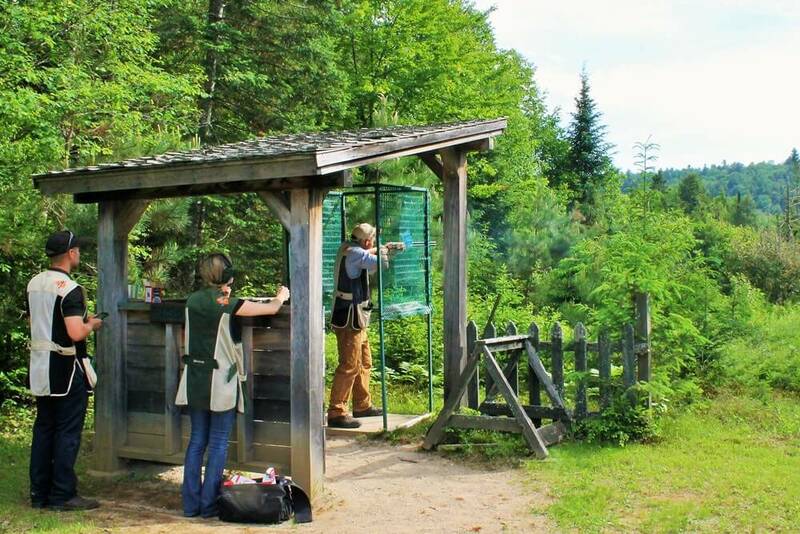 For a unique experience, try clay shooting at Kenauk Nature. This exciting activity offers challenges for everyone. The course consists of 9 stations of varying difficulty levels that simulate hunting for small game birds and animals. For those who would like to try shooting for the first time or those who want to improve their score, there is a special teaching stand in which our expert guides can give personalized instruction. 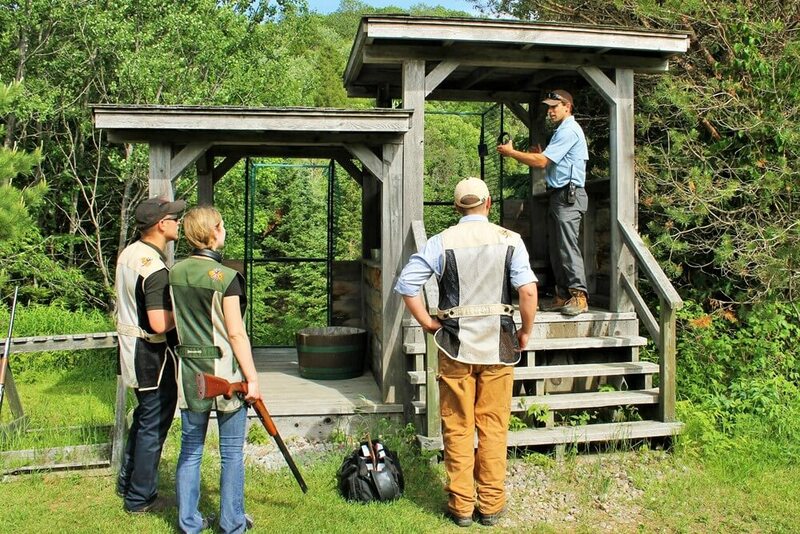 Our sporting clay package includes expert guides as well as all required materials such as shotguns, ammunition, eye and ear protection, and vests. Please make reservations at least 48 hours in advance by contacting Kenauk Nature directly at 1.800.567.6845 or emailing info@kenauk.com. For the clay shooting course the cost is 145$/person for one person, 105$/person for two people, and 95$/person for three or more people. Average course duration is 2 hours. 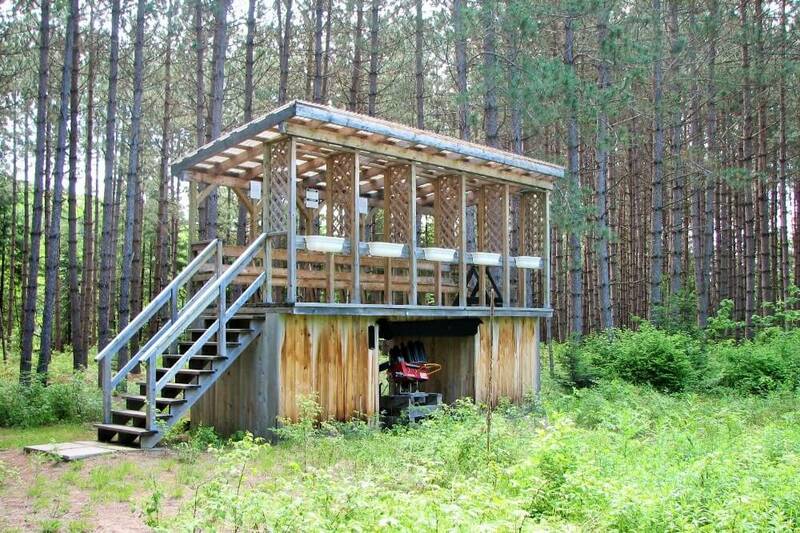 Combine clay shooting, rifle shooting, and axe throwing for the ultimate shooting experience! Learn how to properly throw axes like a Viking! 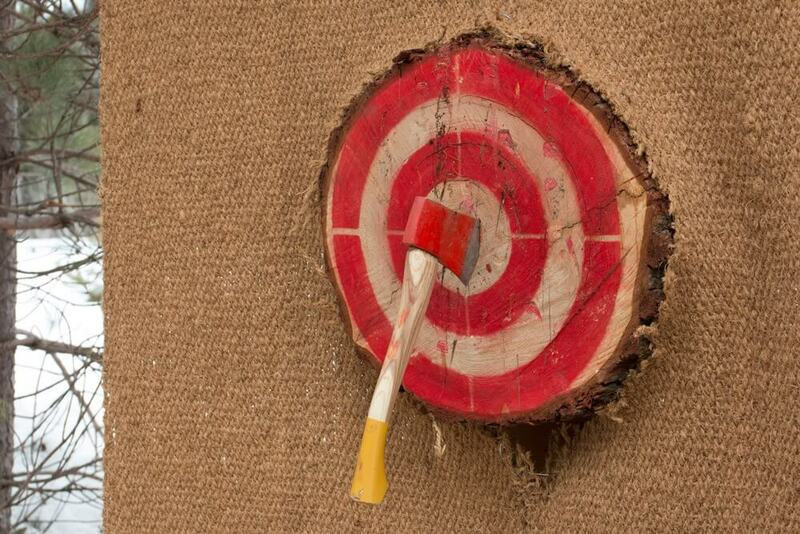 This fun activity includes four axe throwing lanes with different scoring areas on each target. Also enjoy target shooting with our air rifles and take down fun targets. 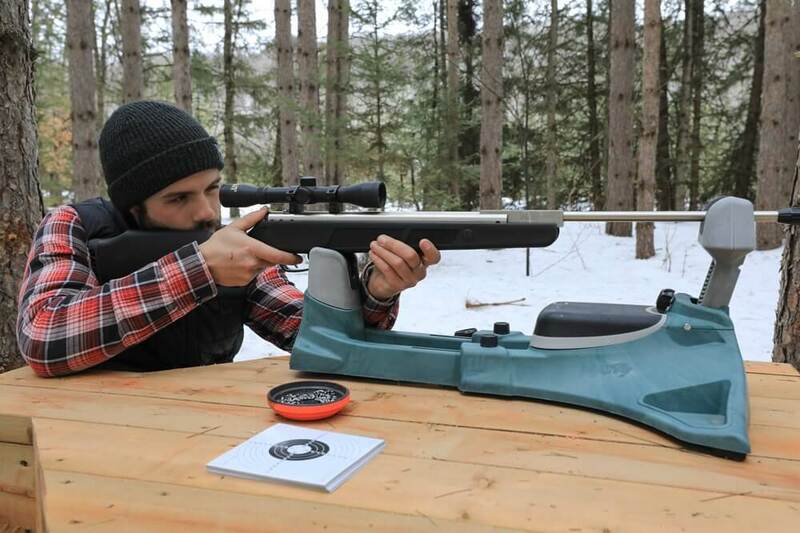 The air shooting installation offers three distances to challenge you! And get a taste of our clay shooting course with 25 shots. All lead by enthusiastic and knowledgeable guides. 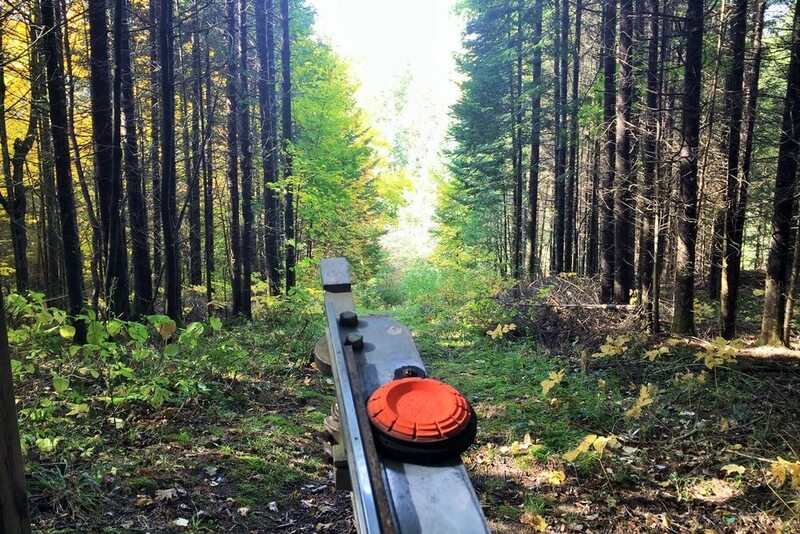 The shooting experience is 105$/person for 90 minutes which is divided between clay shooting, axe throwing and rifle shooting (30 minutes each). Each activity consists of a clinic on how to properly shoot or throw axes, practice time, and is followed by friendly competition. This activity is available to anyone aged 13 and over and is appropriate regardless of experience level, from beginners to experts. All equipment is provided.